Wash those dirty bubbles down! That's cute! 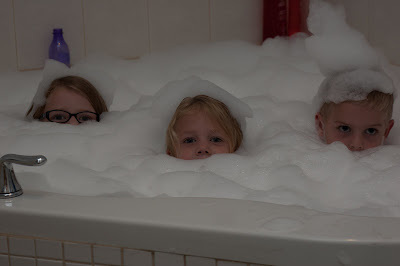 I'm surprised Lila wore her glasses in the bathtub! (Guess she wouldn't be able to see the bubbles if she wasn't wearing them!) I love the silly poem, Em! You really should do more writing. I have always thought you were a good poet. how the heck did you make those awesome bubbles?! 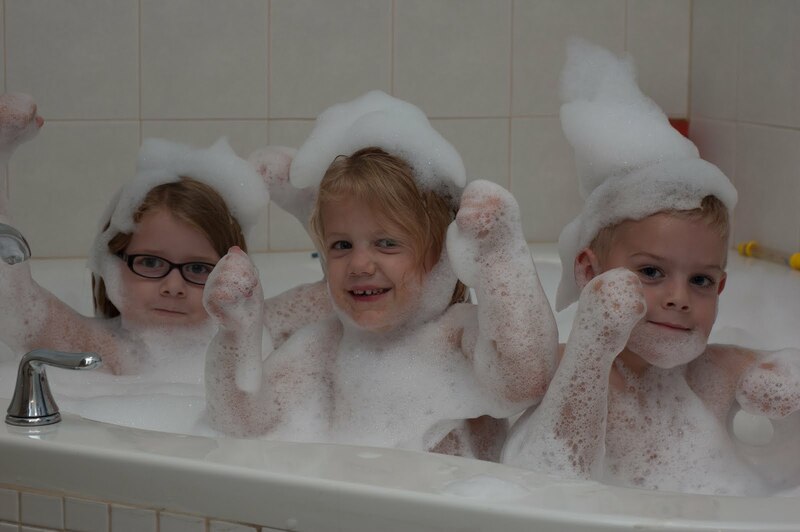 We love bubbles here and would love to re-create that at our house.